Children who come along for an appointment at a salon can be bothersome. However, there are things a salon can do to make it easier. If you own a salon, you know that maintaining tranquility is sometimes challenging. Clients hope to get away from the stresses of life and spend a little “me” time. The hope to pamper oneself in a quiet environment can be broken by the sound of young voices raised in play. While children are our pride and joy, salon owners need to learn how to make the salon kid-friendly and maintain tranquility at the same time. Some cosmetology continuing education courses have begun to address this issue, so look for it the next time you register. 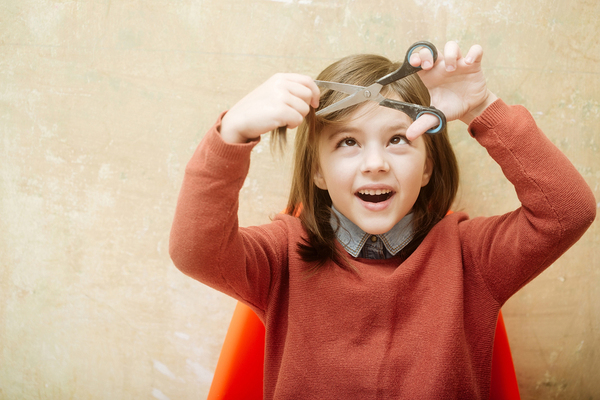 Allowing children in the salon can be good for both parents and the salon owner. First off, it prevents hard feelings some parents have when they are told the salon is off-limits for children. Secondly, it helps your business grow. 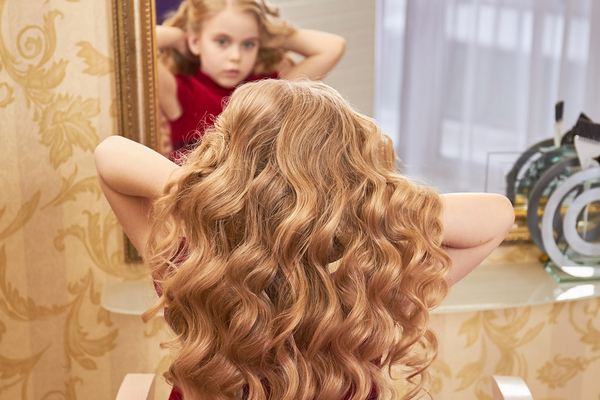 In fact, children’s hair services have blossomed into a $5 billion annual business. So, offering kid’s services, including haircuts, facials, makeup, and even temporary tattoos are all profitable. It doesn’t cost a lot either, since for most kids you can simply adapt the equipment you have to meet the needs of the younger set. Even if you don’t offer kid’s services, you’ll find that by allowing children in the salon, there may be fewer missed appointments. The latter depends on your clientele. Whether you provide kid services or not, you need to have a well thought out policy in place. Generally, if people know the rules ahead of time, they are accommodating when things go wrong. The major concern is that some children become unruly while they are in the salon. This is upsetting for your other customers and usually for the parent. You need to be clear that bad behavior will not be tolerated. After laying down the rules, include a list of the things your salon has done to make everyone’s visit enjoyable. Offering puzzles, books, or games can make it easier to keep children occupied when they are waiting for their mother or father. Some spas offer daycare for patrons. This means that you must hire someone to work in the daycare area. This person ideally should have some experience with children. Most salons set an age limit. For instance, bringing babies in the salon and expecting someone to care for them may be too much. In addition, you will need to set up an area or an additional room, if you have it, for this purpose. Filling the area with things kids enjoy such as books aimed at their age group, videos, or games is a must. Most shops charge a few dollars per hour for the first child and slightly less for the second. Liability is a big issue when children are allowed in the salon. Let’s face it, cosmetology services use chemicals and sharp instruments. While it may be difficult to keep children away from them, it is not impossible. It requires extra care such as keeping scissors and solutions in a latched drawer or closet. Even the layout of the salon may be considered hazardous. If there are steps or wet floors, children can fall and hurt themselves. For parents who insist on bringing their children, offering limited children’s services can increase a salon’s income potential. There is a doctrine in the law called attractive nuisance. It is found in property liability law but can apply to anything on the property. It means the object of harm is so attractive that it entices a child. For instance, if you have a solution that is the color of bubble gum on a table a child can reach, it may be considered attractive to the child. You can understand how this could lead to a claim against the salon. It is important to get legal counsel about your liability and how to lessen it. Take time to talk to your insurance agent too. Aside from all the decisions salon owners need to make, they must ensure that their requirement for continuing education is met. Busy professionals find it easier to do this online. Imagine not worrying about taking days off to complete the requirement but rather being able to do it piecemeal whenever you have time. At Beauty Academy, we allow you to download the course material. Once you have finished reading it, you can download the test if one is required in your state. Once you are finished, all you need to do is pay for the course, and download your certificate of completion. Learn more about how continuing education can help you by checking out our cosmetology courses.